Best Show! Bring it back!!! This show got me excited about watching TV again and looking forward to each new episode every week. Meloni was perfect and conveyed the perfect dad you wish was your dad & yet are so glad he's not. Loved that it was set in the 90s at the time I was growing up, so fun to relate to. I was laughing and snarfing through every episode. When I heard they canceled the show on May 7th 2014, I was furious! Why do they cancel the best shows and then leave Vampire Diaries or whatever they are on all the time? People are crazy. 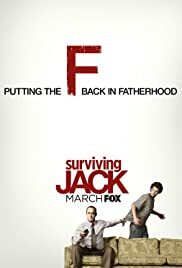 Shows like this need more coverage, no one I talk to has heard of Surviving Jack, they had no clue to watch it until I showed them and they were hooked too. Get the word out to bring it back! I signed a petition, please do it too! Please go to the address posted below!